As a native Georgian, Gary has been exposed to the woods, fields and lakes of Georgia all of his life. Hunting, fishing and farming have always been close to his heart. Gary began his professional career in public safety and enjoyed his time in that profession for 20 years. In 2003, he decided to make a change and earned his real estate license and began selling residential properties. In 2007, Gary joined Mossy Oak Properties and was very excited to find a way to merge his sales experience with his love for the outdoors. 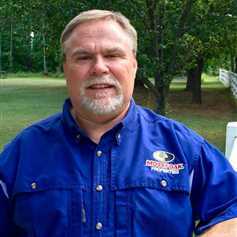 Gary's specialties include land, farms, rural residential and lake properties. Gary lives in the Middle Georgia area with his wife Laurie and son Garrison. Along with his outdoor hobbies, Gary and family love to travel, raise Labrador Retrievers and go to UGA football games. Go Dawgs!